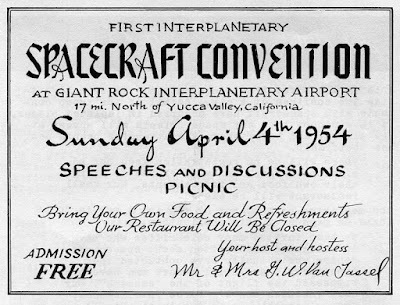 Was there a hidden hand, an ancient esoteric society behind some of the first UFO contactees of the 1950s? Were George Adamski, Orfeo Angelucci, Daniel Fry, George Van Tassel, Howard Menger a.o. involved in a psychological and cultural test made by this hidden group, working in collaboration with benevolent alien visitors with access to Vimana technology? This is the rather controversial theory, the Esoteric Intervention Theory, I have advanced in my book, articles and blog. To determine whether this theory is tenable and can be validated requires much more research and empirical evidence. 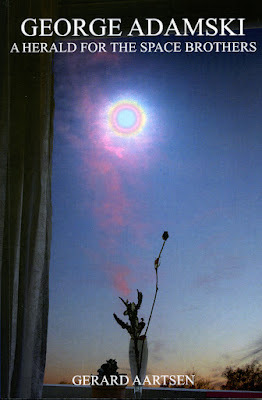 During the last decades there has been a resurgence of interest in studying the connection between the UFO phenomenon and the Esoteric Tradition. This renaissance is partly due to the growing academic study of what is called Western Esotericism. To mainstream scientific ufologists this issue is more or less taboo as they don´t what to be associated with cultists and mystics. And there is a definite problem here, because how to establish and define what should be considered esotericism? This question becomes clearly obvious when studying the writings of Dutch author Gerard Aartsen, an exponent of the British esotericist Benjamin Creme and co-worker of his organization Share International. Aartsen has written several books detailing the connection between the messages given by UFO contactees and the Esoteric Tradition, a.o. George Adamski. A Herald For the Space Brothers (2010) and Here To Help: UFOs and the Space Brothers (2011). Gerard has kindly donated his books to AFU. His latest, Before Disclosure. Dispelling the Fog of Speculation was recently published and can be downloaded free on his website. We have had an open and friendly correspondence since 2012, discussing various issues involving UFO contactees and esotericism. And this in spite of my critical comments on his books and Gerards presentation of the Esoteric Tradition. We have agreed to disagree on several points. 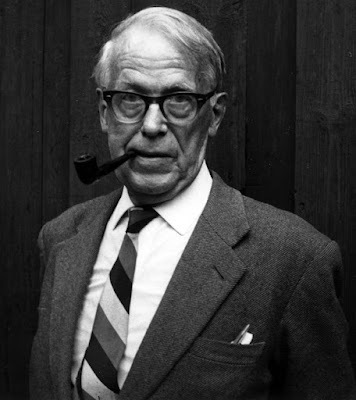 So I don´t think he will be offended by my further, rather true than nice, critical comments on his writings. The fundamental question is how to define esotericism? Can any teachings be regarded as esotericism simply because the proponents of some author or mystery school use this term? Is the writings of Rudolf Steiner, Martinus, René Guenon, Krishnamurti, Elisabeth Clare Prophet, Helena Roerich a.o. to be regarded as esotericism? My answer would be a simple no. When it comes to Benjamin Creme the problem becomes somewhat more complicated as his general presentation of esotericism is basically correct. 1. It is a Science of the multiverse, as exact as any academic discipline. A knowledge of reality presented by the "scientists of multiverse", adepts belonging to the "Higher Intelligence Agency" (HIA), so far a hidden organization, often referred to as the Planetary Hierarchy or Planetary Guardians. 2. Esotericism is not some form of mysticism or vague and irrational teachings and tales. 3. As a specialized field of knowledge, like academic philosophy, esotericism is not aimed for the general public but for those of a scholarly mind, researchers and intellectuals, with basic understanding of science and the history of ideas. 4. No demands for simple belief is ever given in esotericism, but for the students to regard the teaching as a working hypothesis. 5. Goodwill and a humanist outlook on life is fundamental to esoteric philosophy. On March 28-29, 1987 I had the opportunity of parcipating in a weekend seminar with Benjamin Creme at Stjärnsund residential study center in Dalarna, Sweden. I was not impressed and wrote a critical article on Creme in the Swedish magazine Sökaren. Even though Creme´s presention of esotericism is basically correct his claims of channeling the adept Maitreya is a sad example of glamour or misinterpretation of inner voices. In almost every issue of the magazine Share International there are photos of obvious misidentifications of natural phenomena, not investigated. 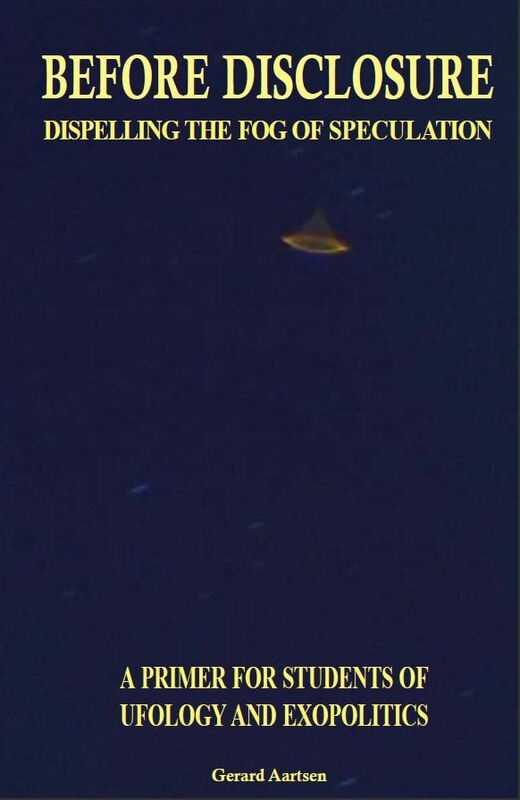 But Creme informs his readers that Maitreya confirms the objects as space craft from Mars etc. A clear exeample is the spiral phenomenon observered over Norway on December 9, 2009. The sighting has been definitely confirmed as a missile launch from the Russian submarine Dmitrij Donskoj. The launch was even announced beforehand. There is nothing mysterious about this missile launch. And it has happened before with the same result. So here is one message that definitely proves that Creme or "Maitreya"was wrong. Gerard Aartsen, as well as Creme, endorse the teachings of Krishnamurti. In my view, one of the great riddles of the Theosophical movement is how so many theosophists can still promote the teachings of Krishnamurti. I can well understand the frustration of Geoffrey Hodson when confronted with the peculiar form of advaita mysticism of JK. An metaphysical quicksand that gets you nowhere and with no relation to Esoteric Science. 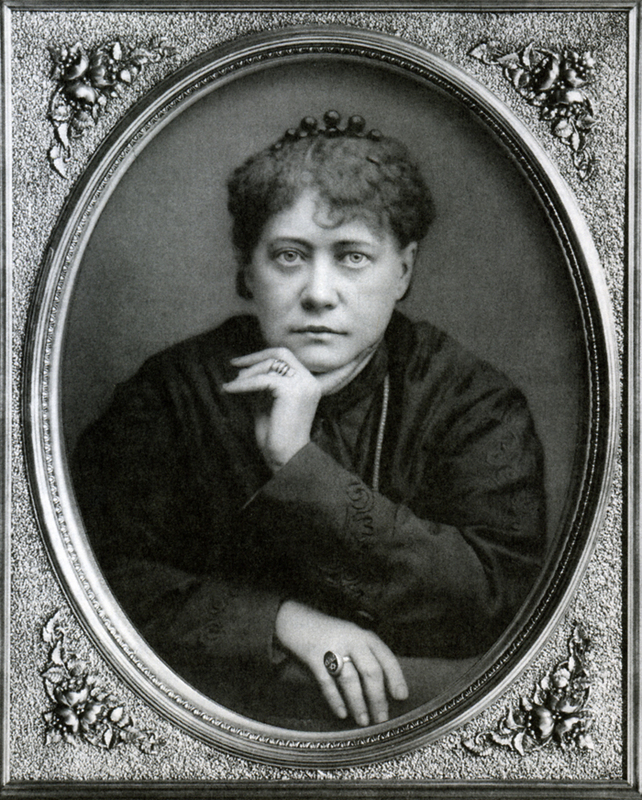 Blavatsky with her forthright manner and vulcanic temperament would probably have given JK a harsh reprimand if they had lived during the same age. And Laurency, with his Blavatskyan temperament, is very critical and clear in his analysis of JK. Finding books by Krishnamurti in Theosophical bookshops is like finding books promoting atheism in a Catholic bookshop while the nice and naive manager of the shop doesn´t understand the difference between the two radically different world views. A sad state of affairs. This is my general criticism of the writings of Gerard Aartsen, a confusing mixture of dubious sources and teachings with no relation to the core Esoteric Tradition. On his website Our Elder Brothers Return there are references to Krishnamurti, the Danish mystic Martinus and Helena Roerich. 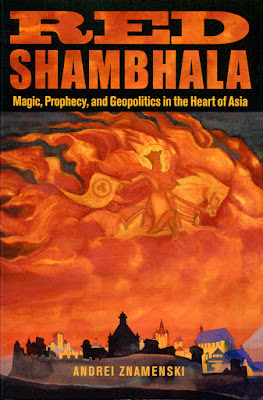 As for Roerich I would recommend the book Red Shambhala by Andrei Znamenski. He mentions that Helena Roerich was informed by the adept Morya to cooperate with Lenin and the bolsheviks to build their theocracy in Tibet. No elder brother would have advanced a plan to cooperate with one of the worst dictators in history. Readers can also study the article The False Mahatmas of Mr. and Mrs. Roerich by Lars Adelskogh. The latest book by Gerard Aartsen, Before Disclosure, also suffers from the mixture of sources of different quality. I will not go into details here but simply point out one factual error that may be of interest. Aartsen is critical of the secret space program claims from various whistle blowers in the United States: "... who had heard of "secret space programmes" before Ronald Reagan´s ill-concieved Strategic Defence Initiative of 1983, or even before the fictional governments of Earth decided to co-operate on a planetary defence system in the Independence Day blockbuster of 1996?" Actually several of the early 1950s contactees mentioned a secret space programme. George Van Tassel started alluding to this in the middle of the 1950s in his magazine Proceedings: "... the military research branches of the Goverment have had several anti-gravity, electro-magnetic test ships operating since the middle 1950´s. " (Proceedings, vol. 7, no. 1, February-March 1961).
" Unless regularly initiated and trained — concerning the spiritual insight of things and the supposed revelations made unto man in all ages from Socrates down to Swedenborg and "Fern" — no self-tutored seer or clairaudient ever saw or heard quite correctly." Letter 40. "You know, S. Moses, and you know Maitland and Mrs. K. personally. And, you have heard of and read about a good many Seers, in the past and present centuries, such as Swedenborg, Boehme, and others. Not one among the number but thoroughly honest, sincere, and as intelligent, as well educated; aye, even learned. Each of them in addition to these qualities, has or had an + of his own; a "Guardian" and a Revelator — under whatever "mystery" and "mystic name" — whose mission it is — or has been to spin out to his spiritual ward — a new system embracing all the details of the world of Spirit. Tell me, my friend, do you know of two that agree? And why, since truth is one, and that putting entirely the question of discrepancies in details aside — we do not find them agreeing even upon the most vital problems..." Letter 48. Recently one of my blog readers, a former member of Builders of the Adytum (B.O.T.A. ), recommended an interesting biography of the founder Paul Foster Case (1884-1954). Builders of the Adytum is a modern "mystery school" in the Western Esoteric Tradition, the teaching based on the symbolism of the "Holy Qabalah" and the "Sacred Tarot". 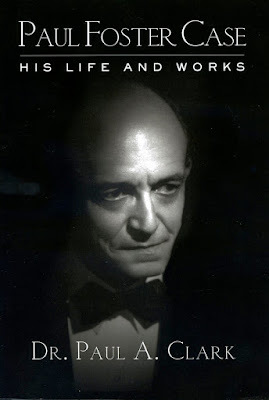 The biography, Paul Foster Case. His Life and Works is written by Dr. Paul A. Clark, founder of The Fraternity of the Hidden Light. What especially interested me was the information that Paul Foster Case was a friend of Alice Bailey and also claimed having physically met and been instructed by one of the Elder Brothers or adepts referred to as The Master (R), Racoczy or The Count de Saint Germain. 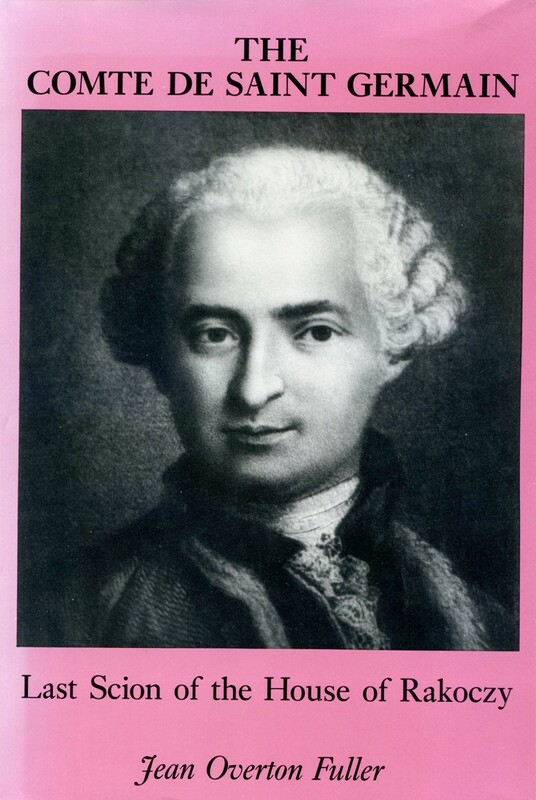 An excellent, scholarly biography of this fascinating and intriguing adept is The Comte de Saint Germain. Last Scion of the House of Rakokczy by British author Jean Overton Fuller. It has the advantage of being written from both a mainstream historical perspective and ending with a chapter on the Theosophical or esoteric view of the Master R. Jean Overton Fuller is also the author of Blavatsky and Her Teachers. An Investigative Biography. When Builders of the Adytum and esoteric orders with similar origin and teachings refer to The Western Mystery Tradition the curriculum is usually a mixture of Hermeticism, Qabalah, Tarot symbolism and Alchemy combined with ritual initiation ceremonies and ceremonial magic. 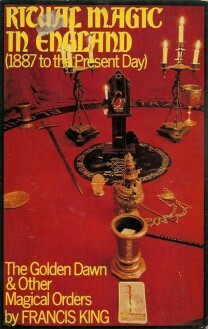 Many of these orders trace their historical roots and connection to The Hermetic Order of the Golden Dawn, founded in London 1887. From this origin many offshoot societies and orders developed. including several of the modern neo-pagan groups and wicca covens. I made a rather extensive study of the Western Mystery Tradition in the late 1970s, Reading included classics like Ritual Magic in England by Francis X. King and Sword of Wisdom. MacGregor Mathers and the Golden Dawn by Ithell Colquhoun but also books by Gareth Knight and W.E. Butler. My favourite in this tradition became Dion Fortune, author of many books on the Western Mystery Tradition and founder of the Fraternity of the Inner Light, later re-named Society of the Inner Light. I corresponded with several members belonging to this tradition and was once, without my wish, even elected Swedish representative of The Fellowship of Isis, headquartered in Ireland. After some years in the rather sterile and ascetic milieu of the Anthroposophical Society (die versteinerten Theosophen - Franz Hartmann) I found this form of pagan nature mysticism refreshing and wrote an article with the title Pan lever, renässans för naturmystiken - Pan is alive, the renaissance of nature mysticism. During this period I also made a short séjour in the theosophically oriented Liberal Catholic Church. Although I was fascinated by ceremonial magic and understood the modus operandi, especially after reading The Science of the Sacraments by Charles Leadbeater, I eventually realized that The Western Mystery Tradition as presented by these societies and orders were not my cup of tea. I looked for a more academic and intellectual approach to the Esoteric Tradition and finally discovered the writings of the scholarly and erudite Swedish esotericist Henry T. Laurency, a disciple of the adept (H.) Hilarion, head of the branch or department of the Planetary Guardians organization especially concerned with the development of science and with a special interest in the psychical research groups around the world. I assume this would today also include the UFO movement. 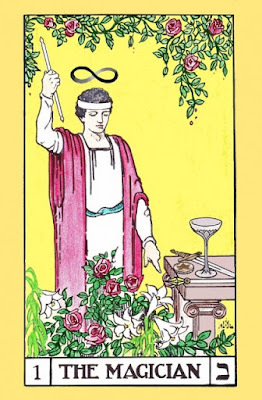 Early in life Paul Foster Case developed a profound interest in the history of playing cards which eventually led him to a study of the Tarot cards and their symbolism. But he also, as very young, had several mystical experiences that can be described as expansions of consciousness. He also began to hear an inner voice. Being well aware of modern psychological theories and psycho-pathology he believed the voice to be a manifestation of his subconscious mind. But the voice was sometimes very specific. For instance when searching for information in a library the voice told Paul: "If you will reach for the third book from the left on the top shelf, and turn to page... you will find the reference you re looking for". 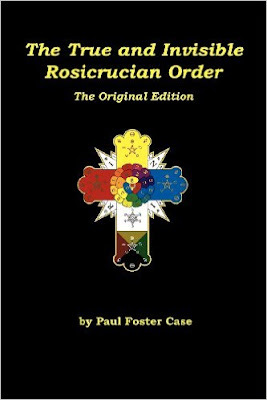 Paul Foster Case spiritual studies and quest led him in 1918 to contact with a representative of the Thoth-Hermes Lodge in Chicago, an American successor organization of The Hermetic Order of the Golden Dawn, where he was initiated in 1920. Open criticism of some aspects of the teachings resulted in his expulsion from the order and in 1923 Paul founded the School of Ancient Wisdom, later Builders of the Adytum (B.O.T.A.). Knowledge and inspiration to found his new school came in a rather unexpectant manner to Paul. In the Summer of 1921 the phone rang at his apartment. A man at the other end stated briefly: "I presume you recognize my voice?" To his astonishment Paul realized it was the voice he had heard in his head for many years. The man suggest a meeting at the Waldorf Astoria Hotel. Nervous and unsure of the outcome of this adventure Paul enter the hotel and is met by an olive complexioned and dark haired man of slight build and neatly trimmed beard. He introduce himself as the Count de Saint Germain. Paul is reassured that "I am a man, just as you" and the adept R. explain his reason for the rendezvous. If he accept the proposition of a period of training and instruction, Paul will be able to restate the Ancient Wisdom in terms of modern psychology and a training system eliminating some of the outworn old elements that has dogged the current presentations in the Western Mystery schools. Paul accepted this dharma which resulted in many meetings with R.
Paul later in rather familiar terms referred to his adept friend R. as "the Boss". This reminds me of Theosophist Henry Steel Olcott who had met several adepts personally and often called them "the boys". Accomplished esotericists and bibliophiles will probably notice that the physical description of R. corresponds to the presentation given in Initiation, Human and Solar by Alice Bailey: "He is rather a small, spare man, with pointed black beard, and smooth black hair." (p. 58 clothbound ed.) R. was obviously very candid regarding the choice of Paul for the intended project: "That while he was not particularly impressed by Paul`s personality, he was absolutely the best they (i.e. the Masters) could find for the job they had in mind. They had to work with what they had at hand." This is an interesting comment explaining why disciples with their personality faults and idiosyncracies seem so inadequate for a chosen project. It also takes away the glamour that disciples should be regarded as infallible teachers of esotericism because of their contacts with the Planetary Guardians. Listen to what K.H. had to say about Blavatsky: "But, imperfect as may be our visible agent - and often most unsatisfactory and imperfect she is - yet she is the best aviable at present, and her phenomena have for about half a century astounded and baffled some of the cleverest minds of the age." (The Mahatma Letters to A.P. Sinnett, letter 2, pp. 9-10). As is often the case with esoteric teachers Paul Foster Case received his share of unfounded rumours and criticism from conceited and self-righteous moralists. Dr. Paul A. Clark relates a very human episode during a crisis period in Paul´s life when he was alone at a hotel room in Reno, very sick and no money left. The week before he had become acquainted with a card shark at a gambling establishment and a woman who proved to be a prostitute. This couple found him unconscious at his hotel room, called a doctor and paid all expenses. They nursed him back to life, until he started to recover and could continue his journey to California. Later Paul use to tell his classes: "... don´t forget to send love and gratitude to a prostitute and a very dishonest card dealer, who had so much love in their hearts, that they went to a man they did not know at all. They spent their own money to feed him... Please remember this when you start evaluating what is and is not highly evolved. It can be misleading." 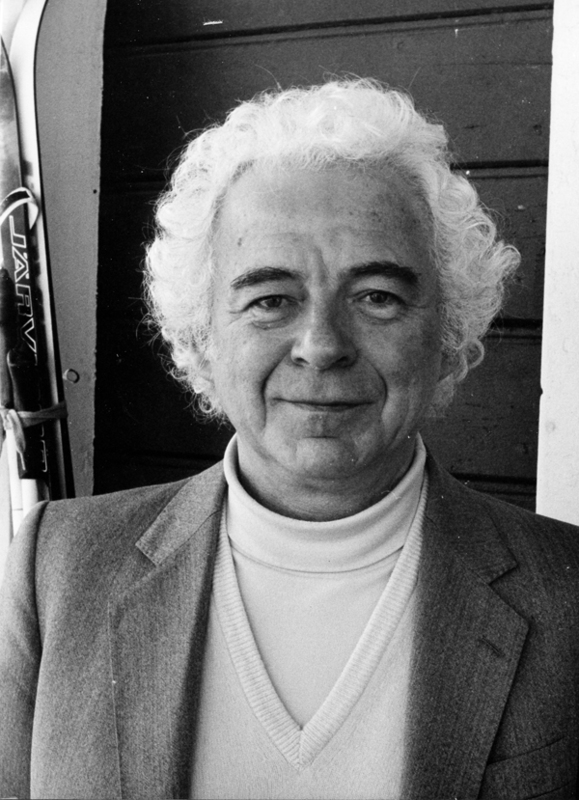 Paul Foster Case devoted his whole life teaching esoteric philosophy and directing Builders of the Adytum. But he was also ordained a priest in the Liberal Catholic Church and a Freemason affiliated with lodges in New York and Los Angeles. His method of presenting the Esoteric Tradition with the help of the Tarot and Qabalah is one of many paths leading to the same goal. Personally I find the use of too much old symbolism,like qabalah frustrating and adher to the views on this issue by Henry T. Laurency as more in line with present day scientific thinking. Interested students are referred to the chapter Symbols in Knowledge of Life Three. This is not to belittle the teachings and effort of Paul Foster Case who according to my understanding was a genuine disciple of the Planetary Guardians and exponent of the Esoteric Tradition. Allen Hynek, Flying Saucer Review editor Gordon Creighton and Swedish ufologist Sven Schalin adopted Anthroposophy as their worldview, Fate magazine editor Ray Palmer championed the teachings of the channeled "Bible" Oahspe, Finnish ufologist Joel Rehnström is a representative of The Urantia Foundation, Swedish publisher and new age activist Edith Nicolaisen was very influenced by Max Heindel, founder of Rosicrucian Fellowship, psychiatrist Dr. Nils-Olof Jacobsson, author of Life After Death and student of paranormal phenomena is an advocate of Danish mystic Martinus, as are several others in the UFO movement. 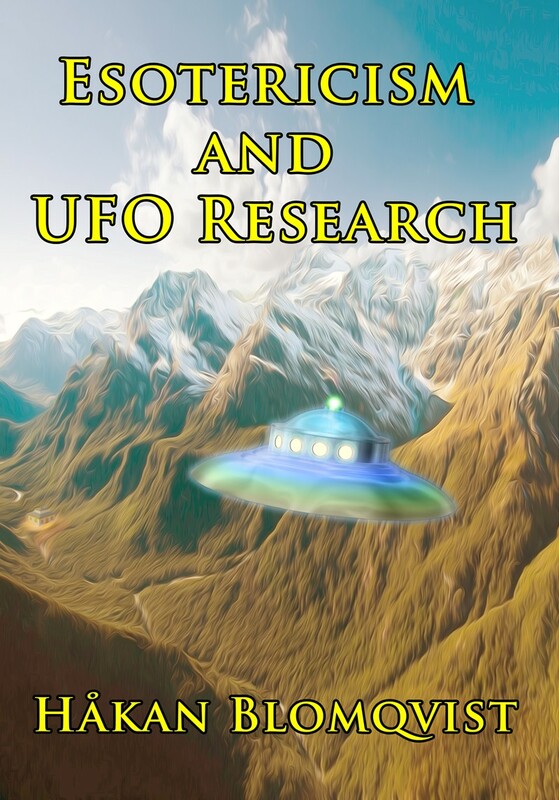 The worldview or personal philosophy of individuals involved in UFO and paranormal research provides an interesting cultural and sociological study in itself. Witnesses to UFO and paranormal phenomena and investigators of these observations share a common problem. From different perspectives and experiences both groups sooner or later come to realize that the mainstream materialist, reductionist worldview or paradigm becomes untenable when faced with the large quantity of well documented, unexplained empirical data. A natural reaction to this heureka moment is interpreting the phenomena in the light of the religious or metaphysical cultural frame of reference inherited from birth. The other alternative is entering an ardous existential journey in the jungle of conflicting philosophies and teachings, trying to find a worldview making sense of the unknown phenomena. Let me present this problem from the viewpiont of two very different individuals, UFO witness Peggy Robert och journalist and UFO investigator John Keel. 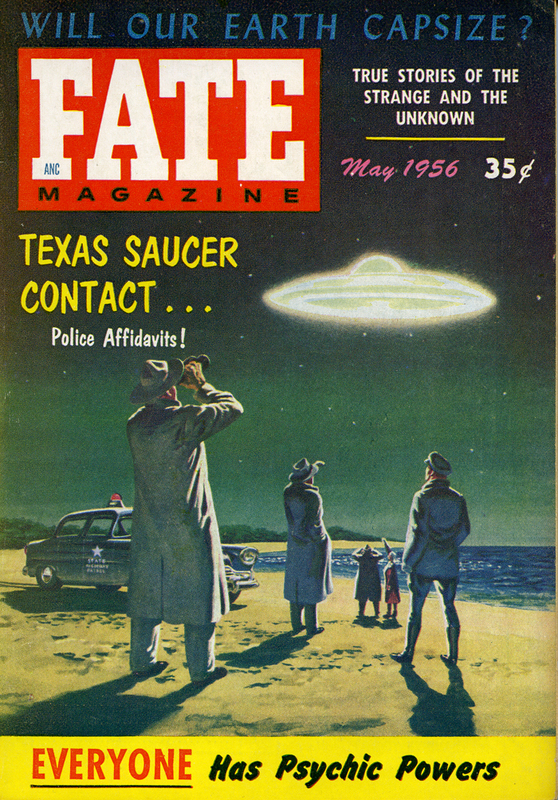 In September 1973 Peggy Robert had a close encounter with a oscillating, saucer-shaped craft. She noticed entities moving back and forth behind windows. This UFO observation became a turning point in the life of Peggy Robert. Before this happened she described herself as a typical ego tripping materialist basically interested in expensive clothes, jewellery, cars and the good life. "Now I knew there was something else in other dimensions, life that is different and more evolved... After this contact with the UFO I couldn´t accept Christianity as presented in the churches. Now I started an intensive period of searching." Peggy contacted many alternative religious and spiritual groups. She went to India to meet the Indian guru Sai Baba and for a time found inner peace with his teachings. Back in Sweden she studied alternative medicine,.Reflexology, Acupressure and nutrition. 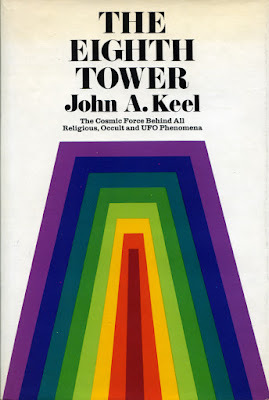 After a lifetime of travel, field investigation and study of UFO, Fortean and paranormal phenomena John Keel reached the conclusion shared by many researchers into these areas: we live in a multiverse inhabited by a variety of diverse intelligences. This discovery changed his outlook on life and his continuing search. In the classic Operation Trojan Horse (1970), he wrote: "Previous to all this I was a typical hard-boiled skeptic. I sneered at the occult. 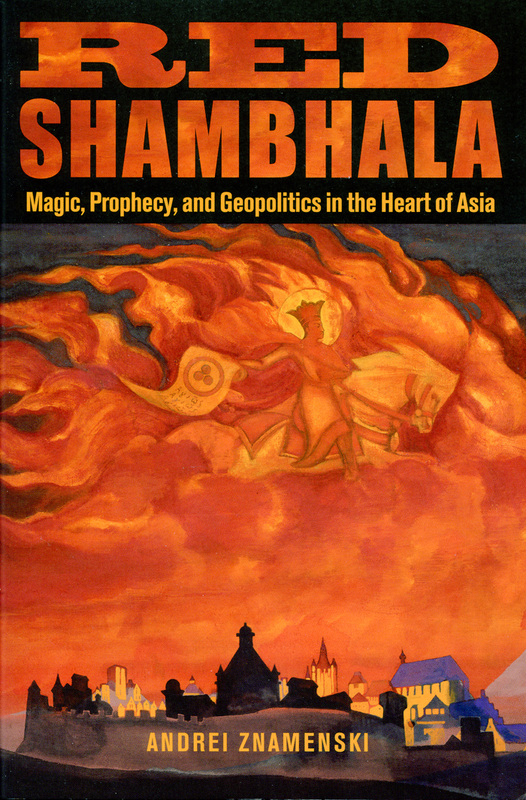 I had once published a book, Jadoo, which denigrated the mystical legends of the Orient… But my experiences over the past few years have changed both me and my outlook, just as similar experiences haved changed so many others. I have stood on many a winding hilltop staring in amazement at the multicoloured objects cavorting about the night skies. I have dealt with thousands of honest, sincere witnesses by mail, phone and in person. My skepticism has melted away, and I have turned from science to philosophy in my search for the elusive truth". 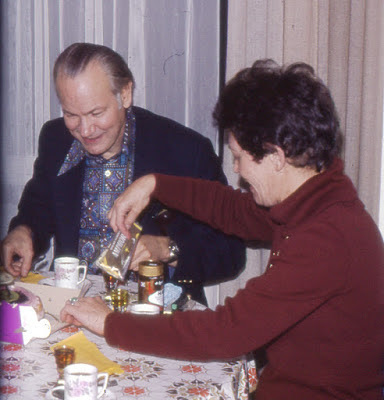 Neither Peggy Robert nor John Keel evidently found ”the elusive truth”, a tenable philosophy, worldview or paradigm that could replace materialist reductionism. 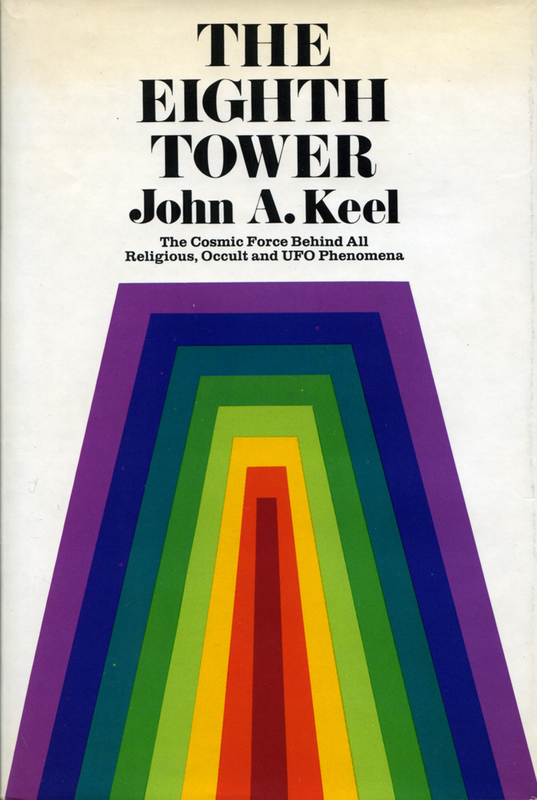 But John Keel sensed the direction research was going. In his last book, The Eighth Tower (1975), he wrote: "Today many scientific disciplines are moving in the same direction, not realizing they are mapping a very old country. In a few years, perhaps even in our own lifetime, all sciences will suddenly converge at a single point, and the mysteries of the superspectrum will unravel in our hands." Many UFO witnesses and investigators have crossed the borderline into the multiverse by accepting some alternative philosophy, teaching or guru as their new worldview. And here comes the tricky part. They are mostly exclusive and present very different ”facts” regarding reality. Here is a short list of options: Anthroposophy, Gurdjieff, Urantia, Sai Baba, Bahai, Edgar Cayce, Swedenborg, Maurice Doreal, Richard Kieninger, Sture Johansson, AMORC, Nicholas Roerich, I Am Movement, Martinus, Theosophy, Scientology, Spiritualism, Aetherius Society, René Guenon, Alice Bailey, Meher Baba, Oahspe, Subud, Eckankar, Bo Yin Ra, Lobsang Rampa, Rosicrucian Fellowship, Sri Chinmoy, Benjamin Creme ….. The list could go on and on with hundreds of groups and teachers. I have the deepest sympathy for research collegues and friends who refrain from theories and when encountering some of the more devoted adherents of these worldviews, who have found ”The Truth”, simply refuse to even consider their opinions or take some time to study the teachings. After many years of studying various spiritual teachings and worldviews my reaction in 1986-87 was rather similar. 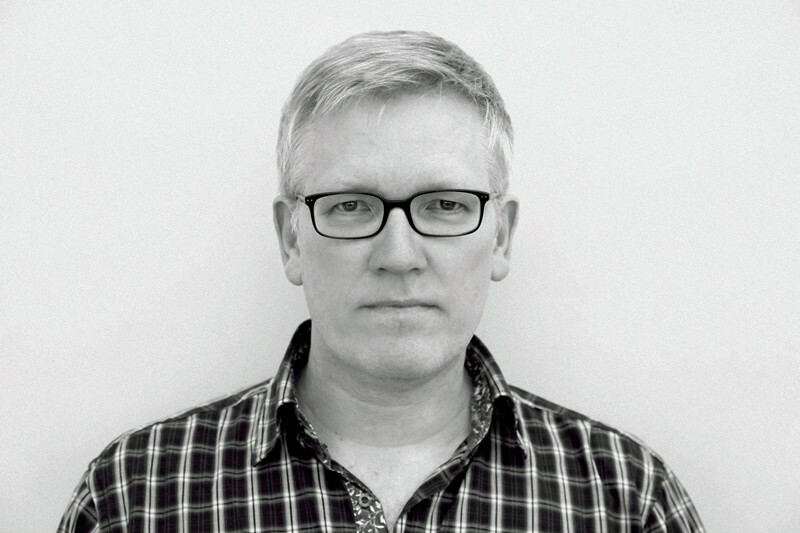 I was simply fed up with all the irrational and inhuman ideas encountered in different groups and organizations Disappointed with what I experienced in the spiritual underground I abandoned my spiritual quest in 1986 and for a couple of years became active within the Swedish Humanist movement, Humanisterna. During these years I was a harsh critic of various New Age ideologies. It was a consistent and necessary psychological reaction in my life even though, in culture radical zeal, as secular humanist, I threw out the baby with the bathwater. 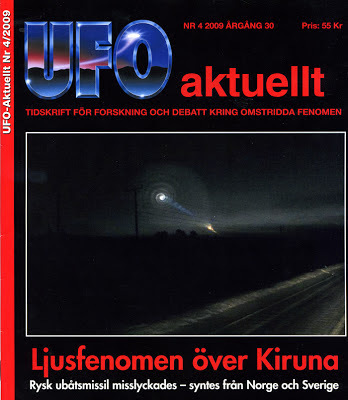 I never climbed so far out on a limb though as K. Gösta Rehn, the Swedish UFO research pioneer. His assessment of the theories of John Keel and Jacques Vallee was ”a terrible blind alley”. If there is a multiverse inhabited by various sentient beings of different evolution and intelligence there must also be a science of the multiverse. Which implies that it is reasonable to assume the existence of "scientists" of the multiverse or custodians of knowledge not discovered by mainstream science. This is the position maintained by The Esoteric Tradition or The Ancient Wisdom. Readers of my blog, books and articles are aware of that I regard myself as an esotericist in the Blavatsky, Bailey, Laurency tradition and advocate the Esoteric Tradition as a valid alternative working hypothesis in researching UFO and paranormal phenomena. With what I have presented above is this a reasonable and intellectually tenable position? The basic scientific, ontological and epistemological issues and problems must be addressed in a rational and intellectual manner, not by obscure mysticism. The worldview is presented as facts and a science of the multiverse. The language and terminology must appeal to scholars and researchers. New empirical data indicating a multiverse can be interpreted and understood within the worldview. The ethical message is a combination of humanism, goodwill and idealism. These demands I have found reasonably met in the Esoteric Tradition as represented by Helena Blavatsky, Alice Bailey and Henry T. Laurency. There are of course statements in these teachings which I find problematic but the basic philosophy is in my view of an intellectual quality unsurpassed. In the recently released documentary Ghost Rockets my UFO-Sweden collegue and friend Clas Svahn adress the paradigm problem with this excellent quote: "To believe is one thing, To know is something entirely different". The most important thing to realize for any researcher with intellectual integrity, proposing a new theory, paradigm or working hypothesis is - it may be wrong. This of course also goes for the multiverse worldview of esotericism. But after 45+ years of research and study I have found no worldview that can challenge the Esoteric Tradition. History will prove or disprove if this really is the Ancient Wisdom. One of the most well known, first generation American contactees of the 1950s was George W. Van Tassel (1910-1978). He became something of the hub of the contactee movement, very much because of the popular Giant Rock Spacecraft Conventions arranged annually between 1954-1977. But also because of his claims of both personal and psychic contacts and co-operation with space people and his building the Integratron on his property at Yucca Valley, California. 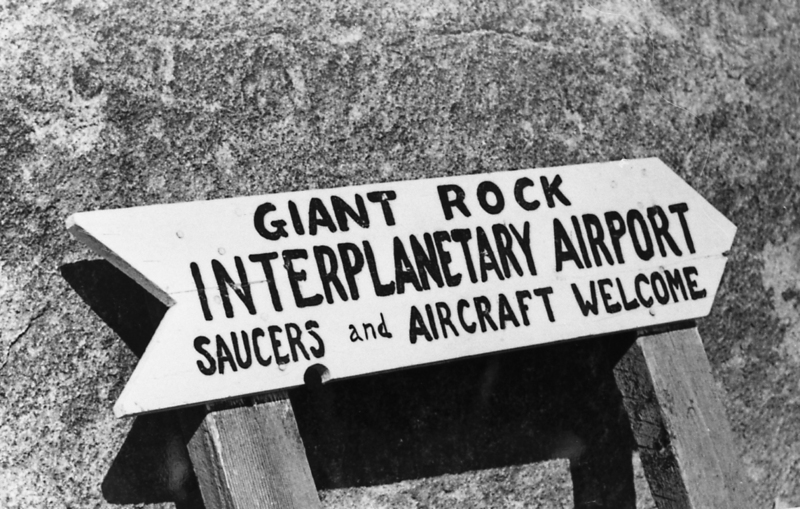 Messages received from the space people during his meetings at Giant Rock in the early 1950s were printed in his magazine Proceedings and also published in his first book I Rode A Flying Saucer (1952). 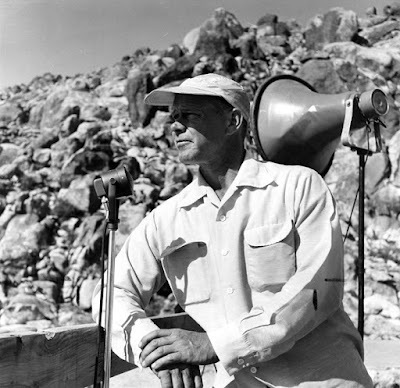 George Van Tassel began weekly meditation meetings at Giant Rock in 1949 with a usual attendance of 25 to 45 people. During these first meetings he experienced entering "an area of golden mist" and heard a voice speaking. The words were taken down in shorthand or taped. Van Tassel was never able to find out the source of the voice, "as it seems to come from all directions at once." (Proceedings, vol. 8, no. 7 Oct-Nov-Dec 1968, p. 15). Later several of the messages were printed in Proceedings. Reading these Messages From the Golden Density today reminds me of the writings of the classic Christian mystics, often beautiful and spiritually inspiring, but more like poems than factual information. Beginning in 1952 a totally new type of voices entered the scene. According to Van Tassel these voices were from space people, using an instrument referred to as Adiphone. They presented themselves with rather odd-sounding names like Hulda, Lata, Singba, Kerrull, Molca och eventually also Ashtar, who later became a popular "space commandant"among channelers all over the world. In May 1952 one of the space people referred to himself as "Clatu, 2nd projection, 4th wave, 3rd sector, realms of Schare". I don´t know if Van Tassel ever noticed that in the classic sci-fi-movie The Day the Earth Stood Still, released in September 1951, the spaceman was named Klaatu? An esoteric interpretation of such messages would be either a mixture of Van Tassels own ideas from his subconscious or merry pranksters from the astral plane impersonating space people. Although most messages are uninteresting or meaningless there are a few intriguing exceptions. On April 6th 1952, Noma communicated: "Your Pentagon will soon have much to muddle over. We are going to give this globe a buzz. I hope they do not intercept us from in front". (I Rode A Flying Saucer, 2. ed, 1953, p.20). Van Tassel gave this information to Air Force Intelligence Command in a letter answered July 22, 1952. On July 26,27 and 28th 1952 the famous Washington saucer flap occurred. Co-incidence? The life of George Van Tassel was forever changed on the night of August 24, 1953. While sleeping outdoors he was awakened around 2 a.m. and found a man standing nearby. Beyond the man was a hovering scout ship of the same configuration as in the photographs of George Adamski. The man introduced himself and Van Tassel would later refer to him by the alias Solgonda. Van Tassel was escorted to the craft where he met three other men and was given information on various projects. The visit lasted around twenty minutes and then the craft took off. Before I continue let me present a brief summary of the Esoteric Intervention Theory as related to the experiences of George W. Van Tassel. I have advanced the theory that some of the physical contactees of the 1950s were involved in a cultural and psychological influence test. An experiment implemented by a group of benevolent alien visitors, earth based or extraterrestrial, a group with access to “vimana” technology. This test was done in co-operation with the Higher Intelligence Agency (HIA), the custodians of the Ancient Wisdom, using a new type of phenomena as attraction as they used spiritualist phenomena in connection with the founding of the Theosophical Society in 1875. Involved in this test was a.o. George Adamski, Orfeo Angelucci, Paul M. Vest, George Van Tassel, Daniel Fry and Howard Menger. Ufologist William F. Hamilton, who was a good friend of Van Tassel interviewed some of the witnesses to this event: "About thirty people were present for this session. Venudo took out a crystal device, identical in appearance to the one worn by Solgonda, and proceeded to demonstrate it by tapping it and disappearing from view. Dan asked Venudo to repeat this performance and reached out to touch his shoulder when he disappeared again. Dan found Venudo invisible but tangible. I interviewed Dan and another female witness about three years after the event and when Saturday night sessions were a thing of the past." (William F. Hamilton, Alien Magic, 1989, p. 9). I have never listened to these interviews nor seen any transcripts but I hope they are preserved for future research. To know who was a genuine contactee or fake Van Tassel was given a secret code by his visitors. Like a covert agent he used this code several times in his meetings with various people in the UFO movement. This was one of the reasons he could say that Howard Menger was genuine. 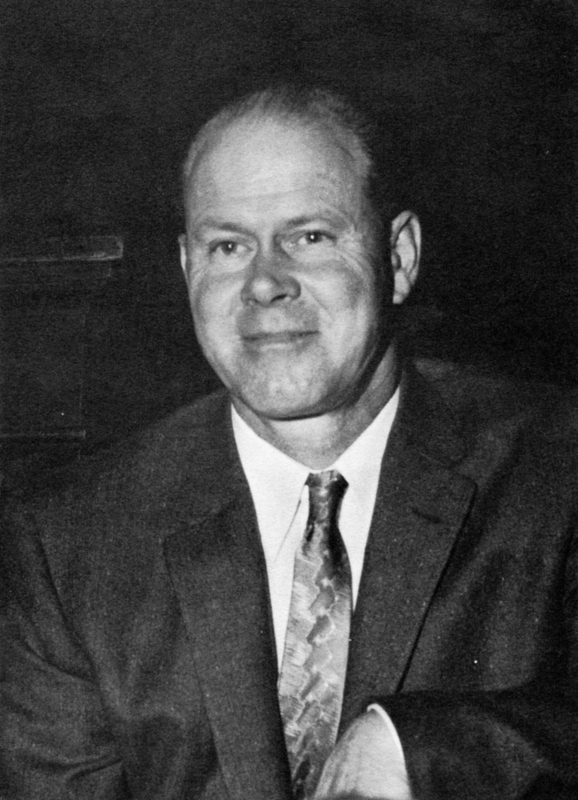 Van Tassel personally investigated the Menger contact claims and interviewed several of the witnesses. 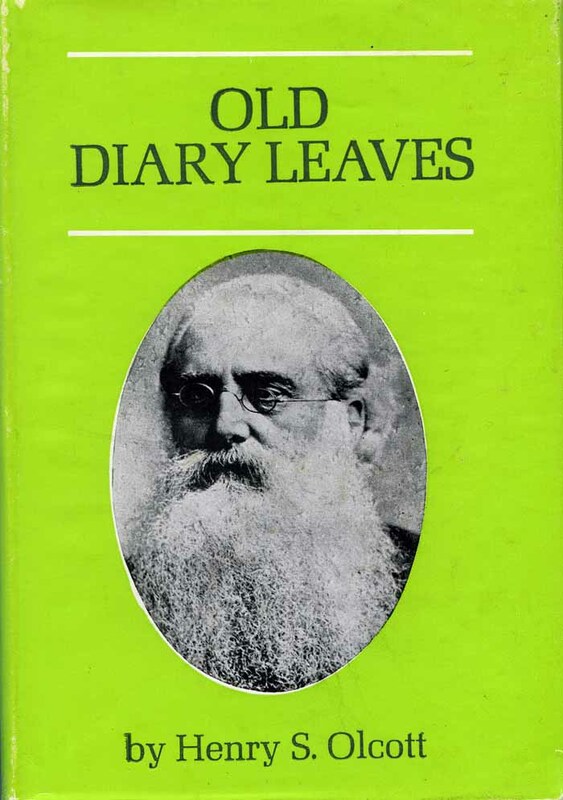 His defence of the Menger story was presented in Proceedings, vol. 5, no. 4, pp. 4-6: "In my contact with the four men who landed here on August 24th of 1953, they gave me information which they told me to use as a "key" to establish authentic, or phoney, contactees in the future. Howard Menger used the words of this "key" properly and correctly." (p.5). That code words were used was also revealed by Howard Menger´s wife in her book Song of Saturn (1968): Connie Menger mention a meeting Howard had with one of the visitors at the local post office: "He smilingly spoke the code word to Alyn (Howard) which Alyn recognized immediately as one of the means of identification between friends and agents of the visitors from other planets." (p. 109). This was the reason George Van Tassel in an article Flying Saucer Activity Analysis could state that "...the authentic, publicly known "contactees" can be counted on one hand." Proceedings, vol. 7, no. 1, Feb-March 1961, p. 14). This hidden or covert co-operation with the visitors George Van Tassel at one time planned to publish in a separate book. But he was adviced by his visitor friends that the information should not be released as it was too sensitive at the present time. In the 1970s Van Tassel and his second wife Dorris Andre Van Tassel published an information sheet on the coming book. 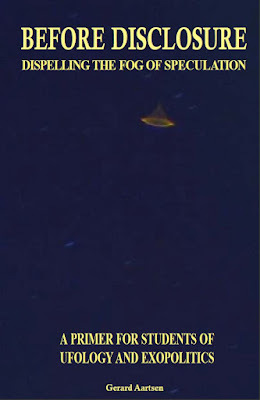 It stated: "The tremendously exiting book which is in preparation is the true story of a visitor from Venus. It is called Venuto and has verifiable proof of his unusual abilities from a well-known investigative laboratory in Los Angeles with his photograph included also. It is difficult to write about this book, Venuto because of its startling contents. It is so amazing and astounding that all the words which come to mind hardly does it justice." 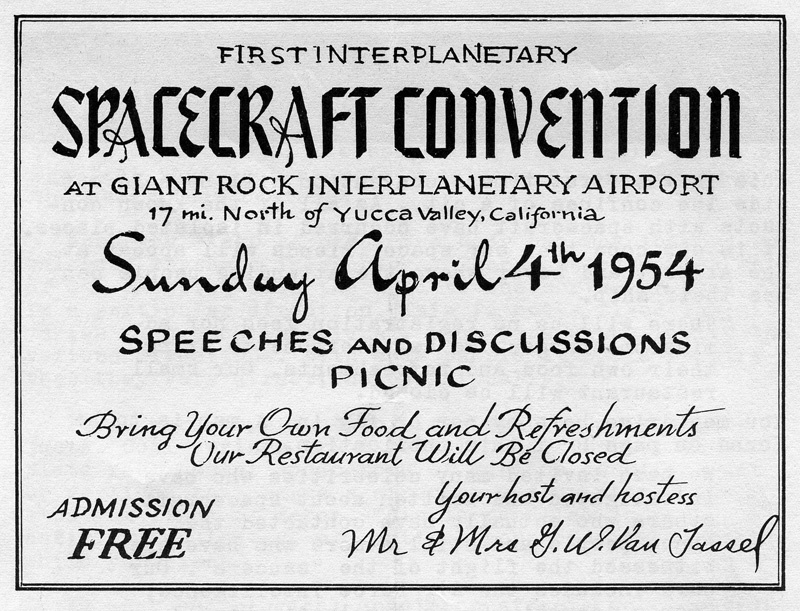 William Hamilton mention there were many people who met this group of visitors in the 1950s, but very few became public contactees. One of these was George Van Tassel`s second wife Dorris Van Tassel. She was a sort of booking agent for the genuine contactees from the early 1950s and very much involved in covert co-operation with the visitors. But she almost never mentioned her own contacts with the visitor group around "Mr. Wheeler". One exception was at an Understanding convention in 1976. A short note in Understanding magazine reported: "Two women were a delightful part of the program. 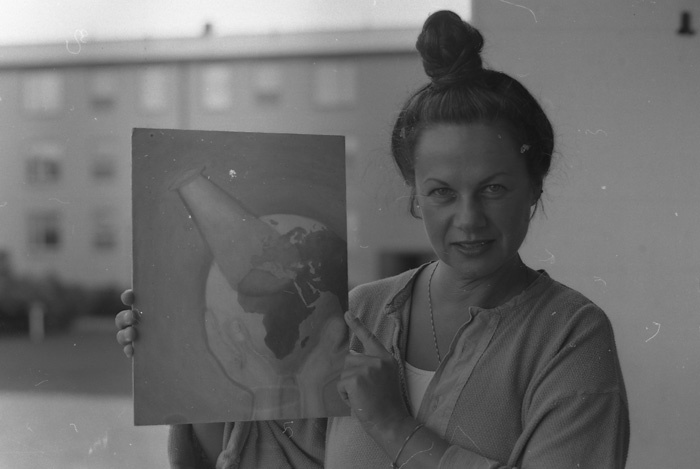 Dorris Van Tassel told the story of her contact with space people, a fantastic story it was too. Until you have heard her, you´ve missed something." (Understanding, vol. 21, no. 5, 1976, p. 6.) Dorris Van Tassel also wrote a small childrens book Suzies Sudden Saucer. 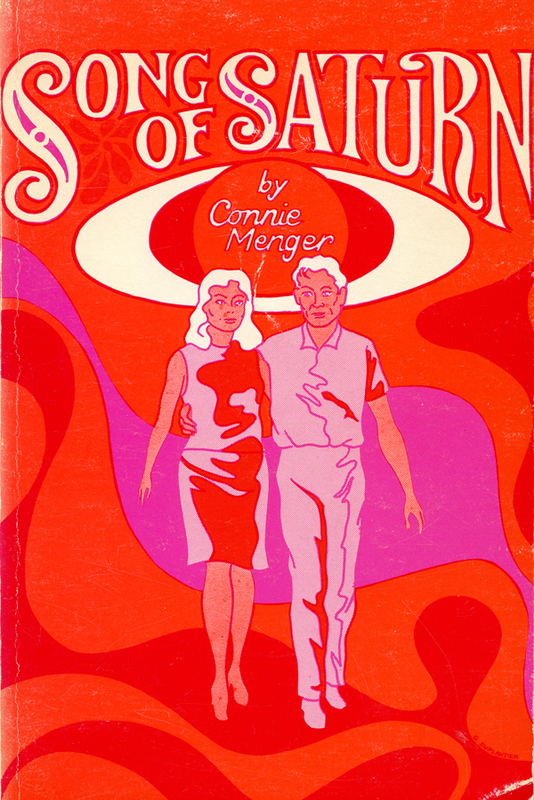 During her later years she also worked on a book on her experiences with the space people. What happened to this manuscript I have not been able to find out. 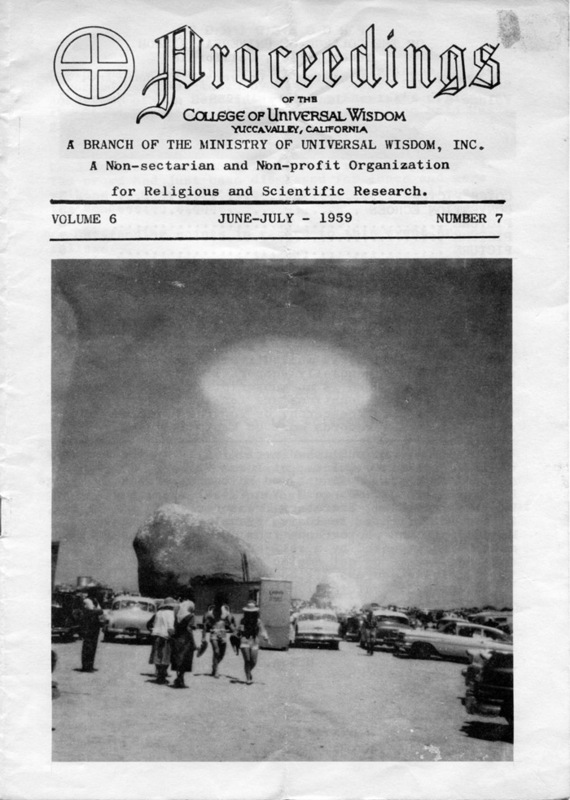 The real and behind the scenes full story of the 1950s contactees is waiting to be written. Information from some of my correspondents worldwide indicate that this benevolent, alien group of visitors are still around but working only behind the scenes on various projects. 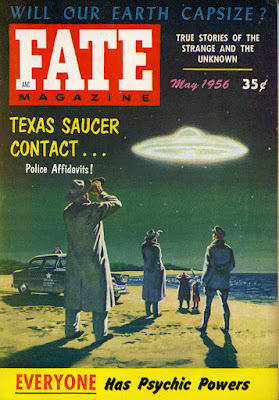 The test made in the 1950s with public contactees was abandoned as so many couldn´t handle the situation. The test put a tremendous psychological strain on the contactees who sometimes acted irrationally and didn´t understand what was happening to them. Some lost their head in the glamour of publicity and embellished their stories with faked encounters and photographs. British ufologist and author Desmond Leslie noticed much of this problem. He had hoped to meet the visitors but in later years was glad this didn´t happen. Noticing how publicity and illusions of grandeur have ruined the lives of several alleged contactees he concluded: "Vanity lurks skin deep in most of us. The eager crowds, the silly adulators, the hungry sheep seeking some new stimulus, the temptation to be "The great I Am" - I might well have become the worst of the lot." 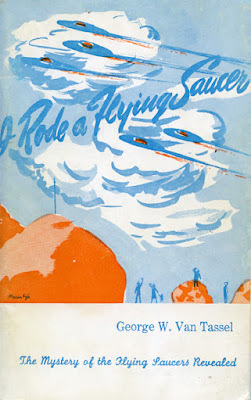 (Commentary on George Adamski in the second enlarged and revised edition of Flying Saucers Have Landed).